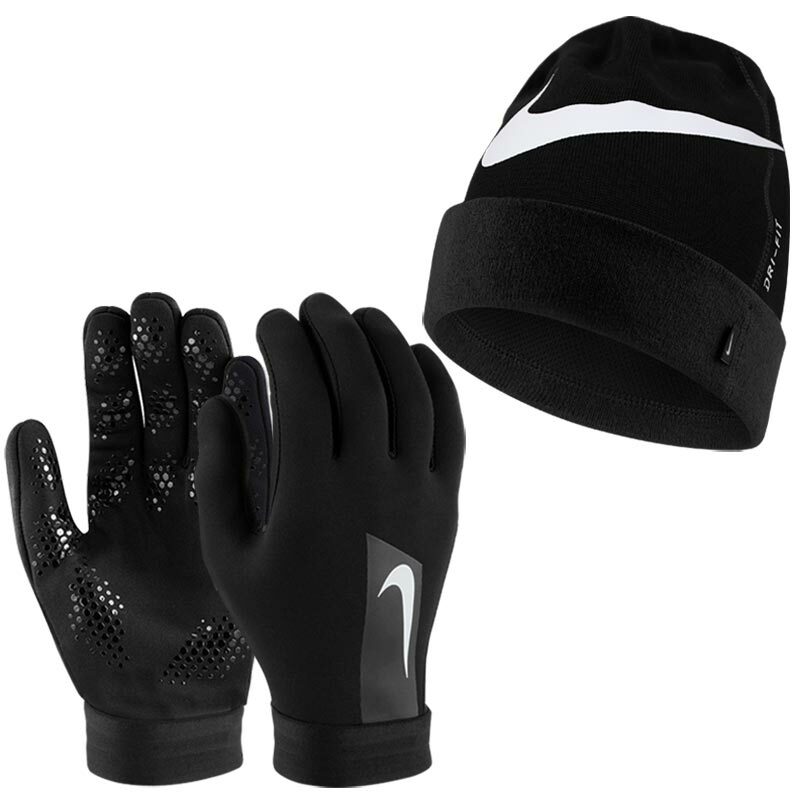 The Nike ® HyperWarm Football Gloves and Hat Set is a superb accompaniment for cold training days, designed to help you stay warm and keep a grip on the game. Zones of silicone are ideal for the smooth throw-in pass, while the flexible stretch cuff offers a secure fit. Beanie Hat Colour Available: Black, Obsidian and Anthracite.